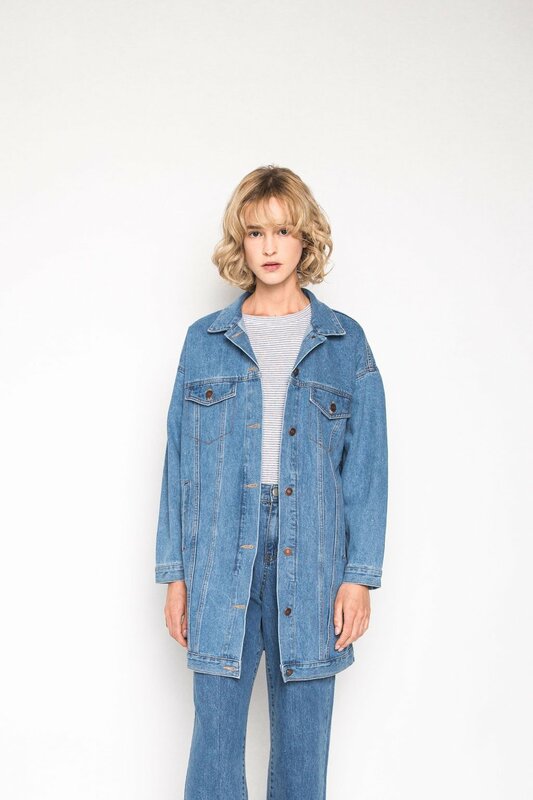 This elongated boyfriend-fit denim jacket is a must-have layer for this spring season. 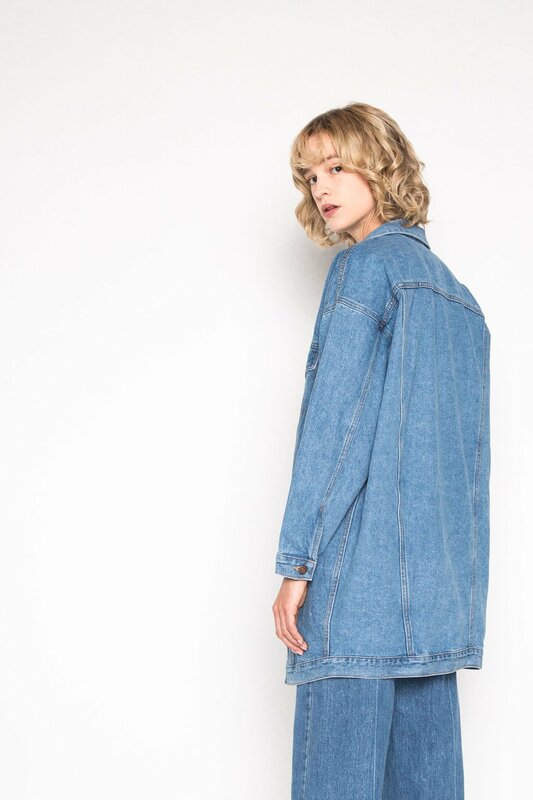 Crafted with all the right details, it features contrast stitching, a front button closure, front flap pockets, side pockets, dropped shoulders, and functional side adjusters. Easily pair this versatile piece with heels or sneakers for any occasion.